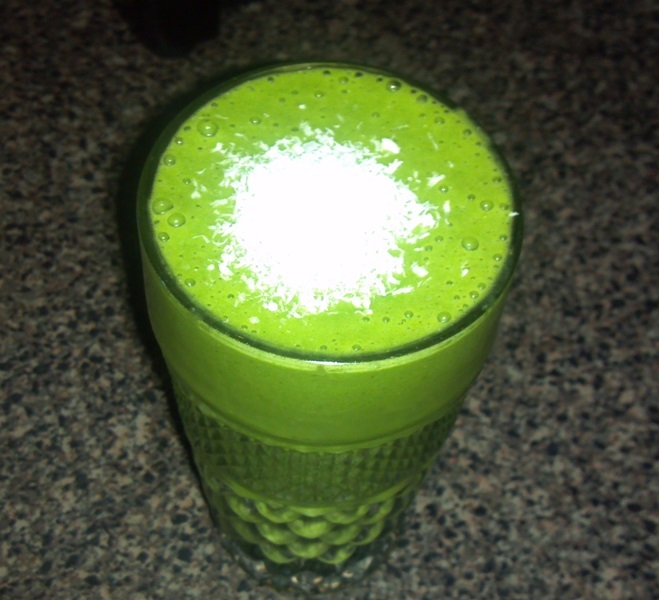 This is a great green morning smoothie, one of my favorites! Full of protein and packed with superfoods! Blend everything in a high powered blender until creamy and smooth. 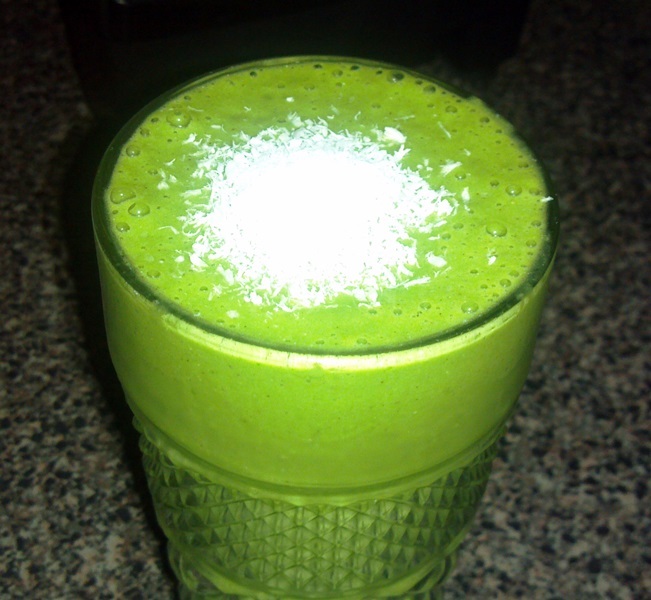 Top with organic shredded coconut and eat! So pretty and so great tasting I had to post it again!